Brief Candle Press, 9781942319184, 224pp. The darkness descending over coastal Maine leaves George no choice but to leave childhood behind for good. Despite living in the shadow of America's worst naval defeat in the ongoing Revolution, George's life is pretty simple, if dull. A beautiful girl and a deadly conspiracy against the British occupation change all of that nearly overnight. In the blink of an eye, he's in up to his neck. Tenderness and terror alike leave his head spinning. Will the arrival of an American scientific expedition bring salvation, or rip away everything that matters to him? 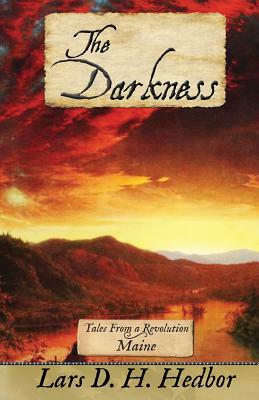 The Darkness is a standalone novel set in Maine from Hedbor's Tales From a Revolution series, in which he examines the American War of Independence as it unfolded in each of the Colonies. If you like exciting stories of nearly forgotten events involving people who didn't quite make it into the pages of history, you'll love The Darkness.